A sucessful internship program can be mutually beneficial to both you and the interns. Interns can be an invaluable resource to any company, big or small. And not only does it provide the intern access to the inner workings of a company, allowing them to grow and learn as a future professional, it also could be a grooming process for a great future employee. A healthy internship program within an organization signals to others that you value teaching and mentoring youth, and if you execute it appropriately, it can make your company the go-to spot for new, top talent. 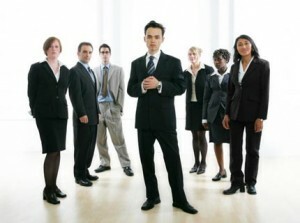 As stated previously, taking on interns is a great way to introduce your company to top talent. Internships are really all about mentoring, and if you show genuine interest and invest the appropriate amount of time in your interns, they’ll most often return the favor with quality work and a desire to learn. They’re a more affordable option as opposed to taking on a full-time employee. I believe strongly that interns should be paid at least a small stipend for all of the hard work and hours they’re dedicating to your company, but they certainly do not require the same monetary commitment that full-timers do. And the good ones will still do great work for you, despite their hourly rate. Often internships reveal stellar employees. Maybe you’re not in a position to hire right now, but you will be in six months when you land that major client. Having a star intern removes some of the guesswork that comes with hiring someone off the street. If you see that they’re able to perform the job at the level you’re looking for, it could be a good fit for you and them in a more permanent capacity.